Remember Sammie from the post on living with celiac’s disease abroad? Well she’s back from abroad and agreed to write a little about what she learned while living in a foreign country. I think it’s important to make the world a little smaller when it all seems overwhelming. so take it away sammie! A few weeks ago I returned from studying abroad in the Czech Republic for four months and I wouldn’t change that experience for the world. Although I’m sure everyone is annoyed with people going abroad and saying that it “changed them”, I can honestly say that the experience of meeting so many new people in a foreign environment and constantly having to be aware of new cultural norms does change you. Since being abroad I believe I have become more observational of those around me and how my actions are being perceived and affecting others. Even something small like how loud you are talking on public transportation (or just the fact that you are talking at all), or how you are addressing the waiters at restaurants is something that in America I never paid much attention to. In Europe I was forced to take a step back and see how I’m perceived and adjust accordingly. I believe this is a powerful skill to have because every culture is different, and it’s important to be aware of that while interacting with those around you. While talking to your neighbor on the train or talking on the phone would be seen as something very normal in America, it takes understanding another culture to see that their norms differ from ours and being humble enough to accept that their culture is different and respect it, even if we disagree. For me this meant learning when to respect silence, to not wave down your waiter at a restaurant, and to understand that not everyone is going to smile back at you when you smile at them, and that doesn’t mean that they are rude or cold, it just means that their norms are different from mine. I think that this is the most important thing that I learned abroad, often people can perceive different as wrong, and while I can easily fall into that trap too and say that something in another country is “weird” or “rude”, allowing myself to fully dive into a culture so different from mine and understand what it feels like to be the one misunderstood or different was a truly humbling experience. Before I went abroad I never knew what is what like to try so desperately to have someone understand me or to truly struggle in a foreign environment. However, its experiences like these, the frustrating and challenging ones, that I think are the greatest reason why all college students should study in another country. Here in America it’s comfortable; we can easily figure out how to find cold medicine, or how to get somewhere even if our google maps is broken. But it takes leaving your comfort zone and putting yourself into challenging situations to fully gain independence and understanding of others around you, which is something that I don’t think I would have learned if I never left the country. So yes, while studying abroad is a lot of fun travel and minimal school work for a semester, it is also an opportunity to grow and become a more understanding and independent person through all the struggling and adaptation. 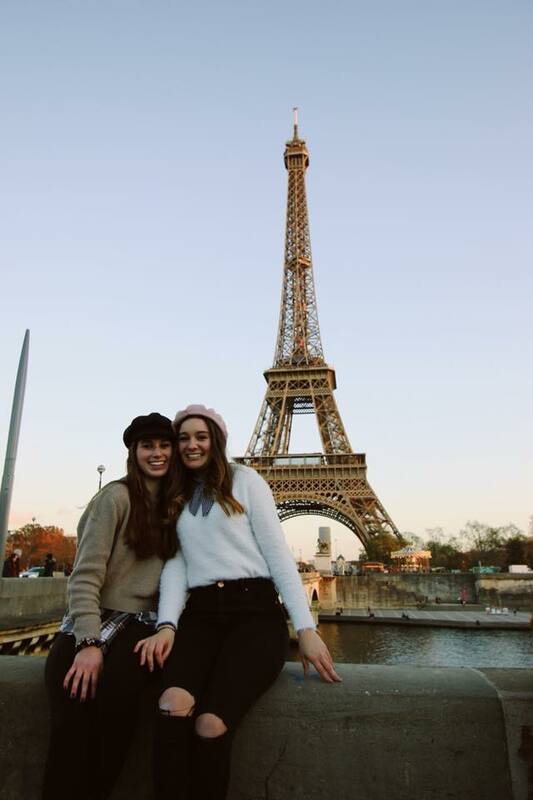 So if you are thinking about studying abroad, know that its more than just the cute Instagram posts- it won’t always be easy and will force a lot of growth, which honestly might be the best part. If anyone reading this post is considering studying abroad in the near future and has any questions about the experience or good places to go please feel free to reach out! I loved my experience and I love talking about it with others. Thanks Sammie!!! That was so good. if you’re going abroad and want to reach out for some recommendations or just want to chat, this is her instagram!